The National Hurricane Center now reports that Hurricane Harvey was "the most significant tropical cyclone rainfall event in U.S. history, both in scope and peak rainfall amounts, since reliable rainfall records began around the 1880s." The highest total rainfalls from Hurricane Harvey in Texas were 60.58 inches near Nederland and 60.54 inches near Groves. The previous record in the continental U.S. of 48.00 inches was also broken in communities throughout the Coastal Bend region and in Houston following Hurricane Harvey. Governor Abbott, in partnership with Texas House and Senate leadership, approved $38.6 million in state funding for critical direct housing programs: "A top priority as we continue to rebuild is ensuring that families affected by Hurricane Harvey can return to permanent housing. This funding gives the General Land Office the necessary resources to continue that important work." 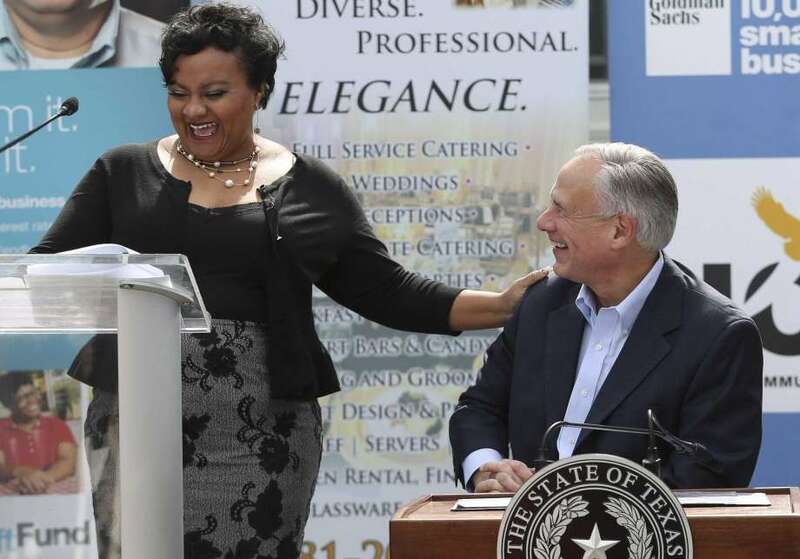 Governor Abbott joined representatives from Goldman Sachs, LiftFund and the Rebuild Texas Fund to announce a new $7 million microloan program providing zero-interest loans of up to $25,000 to small businesses working to recover and rebuild after Hurricane Harvey. They were joined by local elected officials in Houston and by one of the first recipients of a loan under the new program, Yolonda Henry, owner of Nuksy’s Fine Catering. Visit liftfund.com/hurricane-relief-resources, call LiftFund at 888-215-2373 or inquire by email at harveyrelief@liftfund.com. 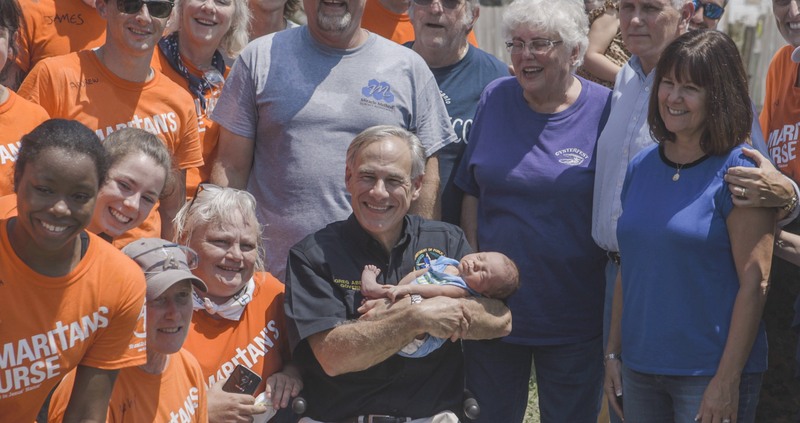 Governor Abbott released his second "Report to the People of Texas," with a look back at the triumphs and challenges of 2017, including Hurricane Harvey recovery efforts, and insight into important programs being implemented across the state to move Texas forward. Governor Abbott joined the governors of California, Puerto Rico and Florida in a joint letter urging the U.S. Senate to approve and expeditiously pass supplemental disaster funding, and for Congress to send the bill to the President. Commissioner John Sharp and the Governor’s Commission to Rebuild Texas on Jan. 25 hosted a gathering of leading philanthropies involved in the Hurricane Harvey recovery process to identify opportunities for coordination between state, federal and private organizations to maximize the effectiveness of philanthropic contributions. As of Feb. 2, approximately 5,733 reports have been submitted from the field to the Assistance Center at Texas A&M. From those reports, the Assistance Center identified 693 issues needing follow-up or resolution, and all have been resolved.More than $598 million in Public Assistance funding from FEMA for state and local governments has been obligated, and 1,164 Requests for Public Assistance have been received from jurisdictions, as of Feb. 1. The U.S. Economic Development Association, in partnership with the International Economic Development Council, is working with the Texas A&M Engineering Extension Service to provide assistance to communities impacted by Hurricane Harvey through a network of volunteers with experience and expertise in economic development. Communities can apply for assistance. TDEM estimates over 11.6 million cubic yards of debris have been collected, about 68 percent of the anticipated total. More than $12.8 billion in federal funds have been provided directly to Texans, including FEMA grants to households, National Flood Insurance Program claims payments and SBA disaster loans, as of Jan 31. 255,360 individuals have visited Disaster Recovery Centers for assistance, as of Jan. 31; for current locations and mobile units visit fema.gov/DRC or download the FEMA app fema.gov/mobile-app. FEMA has completed 599,737 inspections, as of Jan. 31. 9,505 households are taking advantage of FEMA’s Transitional Sheltering Assistance, as of Jan. 31. The TSA program providing short-term hotel stays to displaced survivors while they look for longer-term housing is extended to March 12, 2018. All Harvey survivors staying in hotels under the TSA program have received a phone call, email or text message advising them of their length-of-stay eligibility. If survivors are unsure of their eligibility status, they can call the FEMA Helpline at 800-621-3362 (voice, 711 or VRS) or 800-462-7585 (TTY); log into their account on DisasterAssistance.gov; visit a Disaster Recover Center; or ask the front desk clerk to look in the CLC Lodging web portal. The Texas Health and Human Services Commission has received an $11.1 million FEMA grant for the Texans Recovering Together program, which provides free, confidential crisis counseling and referral services for survivors of Hurricane Harvey, now expanded to 31 counties. Texas Land Commissioner George P. Bush traveled throughout Southeast Texas this week updating local leaders on recovery efforts and meeting with survivors receiving housing assistance. Commissioner Bush visited residents of Nome and Sour Lake who are receiving repairs to their homes through the housing recovery program. In Nome, Commissioner Bush visited with Ms. Ruby, who was originally deemed ineligible due to an error on the application. Commissioner Bush asked the GLO team to help her identify the issue and appeal for reinstatement. Ms. Ruby has now received repairs and is back in her home. In Kountze, Commissioner Bush held a briefing and heard from local leaders about recovery efforts. Judge Wayne McDaniel hosted the briefing in the Hardin County Courthouse attended by state, county and local leaders from across Southeast Texas. While in Beaumont, Commissioner Bush visited a training meeting for local case managers from Deep East Texas Council of Governments (DETCOG) and South East Texas Regional Planning Commission (SETRPC) who are working in conjunction with the Texas General Land Office and FEMA to help Hurricane Harvey survivors find long-term housing solutions. During the visit, Shaun Davis, the SETRPC Executive Director, took time to talk about how the Texas GLO partnering with FEMA has helped the state more effectively advocate on behalf of local communities and improved communications. The GLO reports that repairs have been completed on 1,755 homes through the Partial Repair and Essential Power for Sheltering (PREPS) program and 7,158 homes are in the process of receiving repairs. The GLO has called, emailed and/or texted all 85,000 applicants potentially eligible for PREPS and continues to work with those who are still considering participating. More than 1,100 applicants who are potentially eligible for FEMA’s Direct Assistance for Limited Home Repair, or DALHR, program have been contacted; 284 inspections have been completed; and 80 applicants have signed contracts and have repairs underway. The majority of applicants report they sustained more damage than can be repaired under the DALHR Program, including foundation or structural damage, or alternately they decline to participate because they to complete the repairs using their own contractors.1,587 families have been housed through the Direct Housing Program, receiving a manufactured housing unit, a travel trailer or other resources, as of Jan. 18; additional housing units are being prepped for occupancy.